Last night Steele beat Wagner, 40-28, bringing our record to 8-1 this season. The first half definitely had us all on our toes as we were down for a bit, but in true Knight style, we were able to pull off another win. We’ve already secured our spot in the playoffs beginning in two weeks on Friday, November 11th against San Antonio’s Brandeis, even though we still have one more regular season game next Friday against the other high school in our district (Clemens). 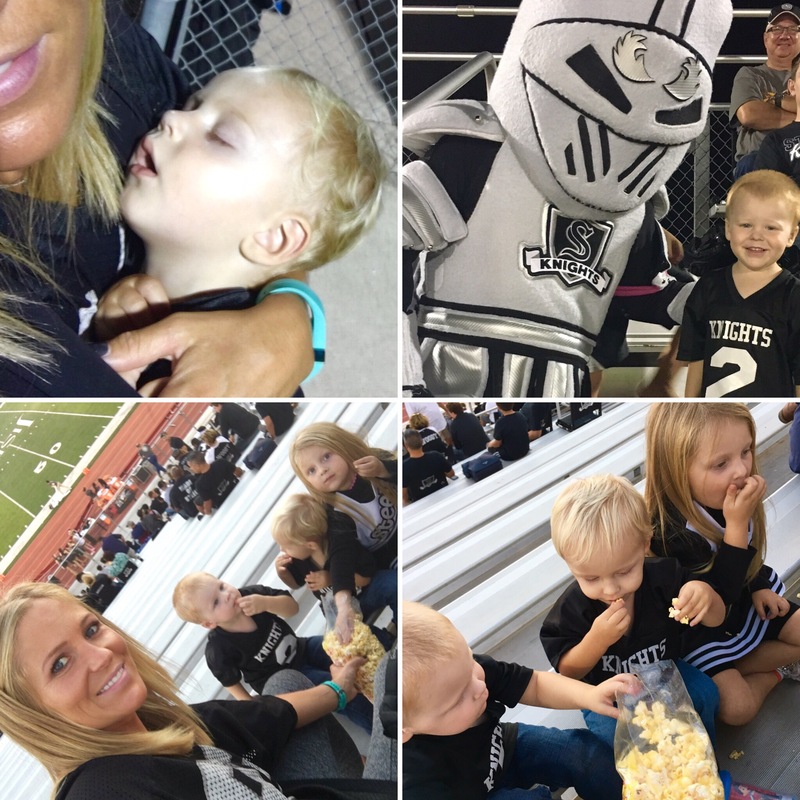 The kids came along and enjoyed eating their weight in popcorn as usual and sitting in as many laps in the stands as they could! Looking forward to next week for our big rivalry game! Previous Post Another Knight W! Next Post Ty is 16 months!